Sydney FC need to make sure they've got the right target before they spend their transfer windfall, says CEO Danny Townsend. The Sky Blues have lost two of the key architects of last season's premiership defence, with Adrian Mierzejewski and Bobo having moved on. We're definitely not going to throw money at high risk options. The pair joined Changchun Yatai and Alanyaspor respectively, filling the club's coffers to the tune of around $2 million. They also only have one visa player on their books at the moment - Serbian ace Milos Ninkovic - so there's every expectation they will recruit at least one big name. The Sky Blues have a history of signing marquees, having brought the likes of Alessandro Del Piero, Dwight Yorke and Juninho to the club on such deals in the past. They'd been linked with former Chelsea and Liverpool star Fernando Torres this week, before the Spaniard opted to move to J.League club Sagan Tosu. Sydney FC's hopes of a second consecutive double were dashed last season, in their final campaign under Graham Arnold, when their big rivals Melbourne Victory clinched the championship. The club are aiming to maintain their dominance of the league competition under new coach Steve Corica. Townsend says the Sky Blues are open to signing a big-name marquee but won't "throw money at high risk options." 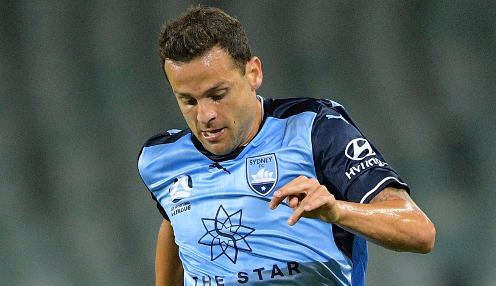 Sydney FC have the money and the options to bring in a foreign marquee or guest player. Townsend says: "The beauty of this club is we're always open to those things. The funds, in the past as we've demonstrated, will be made available if the right opportunity presents itself. "We're definitely not going to throw money at high risk options. We'll be prudent in how we assess opportunities and if we feel they're the right opportunities then we'll spend the money." Sydney FC are 2/1 to win the 2019 Grand Final. The Sky Blues are 50/1 to win the 2018/10 premiership.